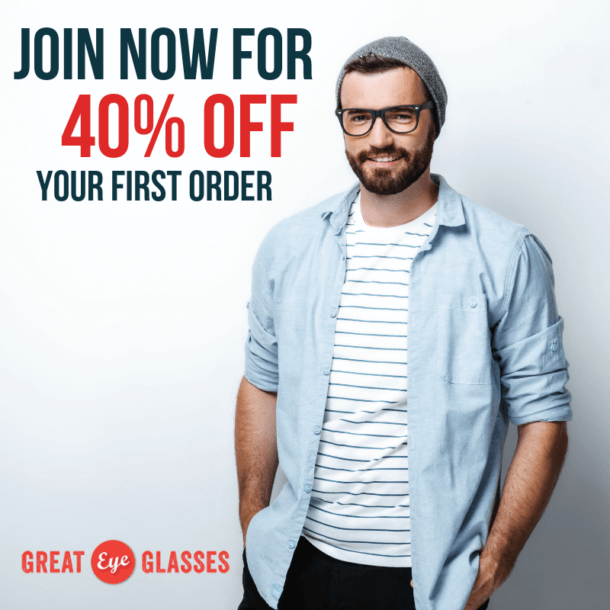 At Great Eyeglasses our mission is to provide high quality, stylish and durable prescription eyeglasses at an affordable price. The best eye glass service on the planet. I’ve referred over 100 people and not one was disappointed. Fast and easy. People were amazed at how inexpensive they were. I wouldn’t ever consider getting glasses anywhere else. Customer for life. I have used Great Eye Glasses for almost 9 years and I have always been satisfied with what I got. The prices are great, they have replaced my frames many times for free, and there are lots of different styles to pick from! The prices are great and the quality is as good as the local optometrist. I find that the glasses are as described in the website. I love Great Eye Glasses and tell all my friends about them. I go to the eye doctor and get my RX and them order great glasses here! It saves me hundreds of dollars from the doctor. Many years ago, she charged me $600 dollars to put new lens in my OWN frames!! That was the day I said that there’s got to be something better and I found GEG. I am so glad, because I figure I have saved thousands of $$$ over the years. Service is excellent and they respond asap and are very helpful. Thank you for being here for all of us! These are the greatest glasses and for such a great price. We have been ordering them for family a few times now and will continue to in the future. Really good prices and nice selection of frames. Have purchased multiple glasses through this company and been happy. Customer service has been great too. I first learned about Great Eyeglasses 10 years ago on the radio. I found a great selection, great prices, and fast shipping! It’s been the only place I get my glasses ever since. You can enter your name or just your initials.